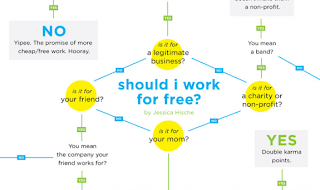 Your friends will forever ask you for favours - "Design this logo for my startup business!" or "Write a tagline for my new project." They usually present it as if it's a "small favour" and something you can do for them "real quick." And it's often not the case. People honestly don't understand what we do and how long it can take. Especially when it's conceptual. My advice is if it'll take less than an hour, do it. If not, give them a discounted rate or suggest someone else to do it for them. 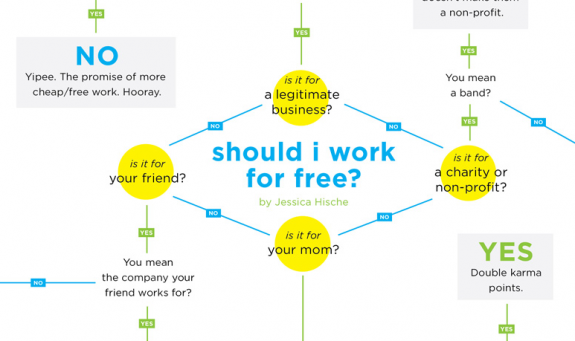 BTW: Friends/family and business can be difficult to mix. Proceed with caution. 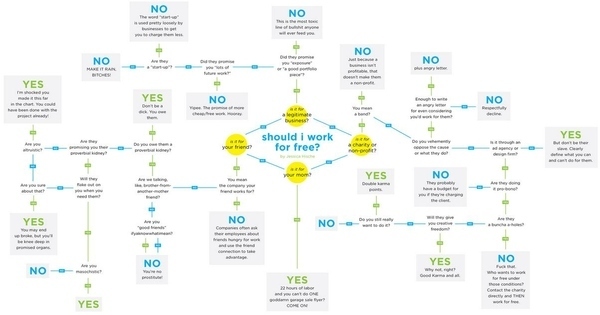 You've probably seen it, but if you haven't, this is a great flow chart to help you determine whether or not you should work for free.